The road to November’s election could be bumpy for supporters of increased school funding, according to a new poll that shows majority opposition to a proposed gas-tax increase. The nonbinding ballot question — approved by Utah lawmakers in March — is opposed by 56 percent of registered Utah voters, compared with 42 percent who indicated support for boosting the state’s gas tax by 10 cents per gallon to indirectly fund education. Backers of the plan say it’s too early to worry about the election. As voters learn more about the proposal, Edwards believes, they’ll better appreciate the opportunity to improve funding in Utah’s classrooms. “The idea of having people pay a little bit more in their gasoline tax now, we believe, will make for great benefits down the line,” he said. The Salt Lake Tribune-Hinckley Institute of Politics poll was conducted by the Hinckley Institute between June 11 and June 18. It included 654 registered Utah voters and has a margin of error of plus or minus 3.9 percentage points. Gas-tax revenue typically does not support schools. But lawmakers agreed to place the question of a 10-cent-per-gallon increase on the November ballot as part of a broader compromise with Our Schools Now. The group had pushed a ballot initiative that sought more than $700 million in new school funding through a combination of sales and income tax hikes. In exchange for the group halting its initiative drive, lawmakers passed a property-tax bill estimated to boost annual education funding by more than $200 million. An additional $100 million could be raised by the gas tax — with a public vote intended to establish the support or opposition of taxpayers. Instead of going directly to schools, the proposed gas-tax revenue would free up and redirect equivalent funding that is currently used for transportation costs. Previous polls by The Salt Lake Tribune and Hinckley Institute of Politics showed a slim, but consistent, margin of support for the Our Schools Now Initiative. But the new poll suggests changing lanes to a gas-tax scheme, or the added funding already approved by lawmakers, has dampened the public’s enthusiasm. Our Schools Now spokesman Austin Cox said Friday that many Utahns are unaware the compromise included a gas-tax question on November’s ballot, and the campaign will be working to educate the public before the election. Connor Boyack, president of Libertas Institute, said the unconventional tax-and-spend model may be exacerbating Utahns’ natural reluctance to raise taxes. “I can still see some skepticism and confusion on the part of the voters,” he said. The surge in gas prices during the summer months may also be fueling opposition, Boyack said, as taxes at the pump are more immediately felt than other types of levies. Heather Williamson, Utah chapter director of the anti-tax Americans For Prosperity, said it’s no surprise voters oppose an increase after years of surplus spending by lawmakers. The gas-tax increase was opposed by a majority of men and women, according to the poll. The proposal was supported by a majority of Democratic voters (64.1 percent) and a plurality of unaffiliated voters (49.7 percent), but only one-third of Republicans. Edwards said many Utahns have not yet heard the justifications for the tax increase. 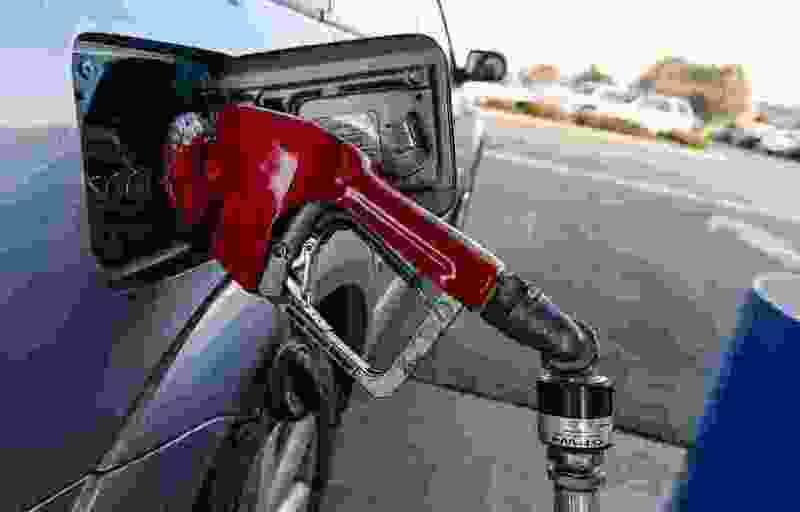 Utah’s gas tax has not kept pace with inflation, he said, resulting in an ever-increasing strain on the state’s discretionary funds to pay for road and transportation costs. “Let’s have the people that use the roads pay for their upkeep and repair through what is, really, a reasonable increase in the gas tax,” Edwards said. Chase Clyde, government relations director for the Utah Education Association, was also confident that support would increase along with greater awareness of the proposal. In a statement, Clyde said polling over the past several years has shown support among the public for additional school funding.